Bias In the Peer Review Process: A Cautionary And Personal Account | Watts Up With That? McKitrick, Ross R. (2011) “Bias in the Peer Review Process: A Cautionary and Personal Account” in Climate Coup, Patrick J. Michaels ed., Cato Inst. Washington DC. “Some people might be tempted to defend climatology by saying that normal scientific procedures have broken down due to the intense policy fights and political interference. But in my opinion that confuses cause and effect. The policy community has aggressively intervened in climate science because of all the breaches of normal scientific procedures. The public has lost confidence in the ability of the major institutions of climatology, including the IPCC and the leading journals, to deal impartially with the evidence. It doesn’t have to be this way. My own field of economics constantly deals with policy-relevant topics with major public consequences. Of course, differences of opinion exist and vigorous disputes play out among opposing camps. But what is happening in climate science is very different, or at least is on a much more intense scale. I know of no parallels in modern economics. It appears to be a profession-wide decision that, due to the conjectured threat of global warming, the ethic of scientific objectivity has had an asterisk added to it: there is now the additional condition that objectivity cannot compromise the imperative of supporting one particular point of view. “The process for completing the CCSP Report excluded valid scientific perspectives under the charge of the Committee. The Editor of the Report [Tom Karl] systematically excluded a range of views on the issue of understanding and reconciling lower atmospheric temperature trends. Ross’s article and Pat’s experiences document further that the exclusion of research papers in a number of major journals and research funding by the NSF and other agencies is a systematic and serious problem that has compromised objective scientific inquiry into climate science. ← Do CFL twisty bulbs explode? A.W. Montford exposes the corruption in the climate peer review system in his excellent book The Hockey Stick Illusion [available on the right sidebar]. And for a funny account of the type of problems encountered by skeptics of AGW alarmism, read Prof Trebino’s account here. In fact if some are using climate science to defraud large parts of the World of their wealth, they are only following on from the example set by those abusing economics similarly. Amongst the guilty here, you will find global central bankers, the BIS, the IMF, the World Bank and the large investment banks. The problem goes back to Eisenhower’s departing speech on government and science. Politics is driving the debate, and politicians do not want to be made to look the fools. So they are doubling down and using unethical methods to silence the debate on the subject. It is similar to a situation in my state. The government outsourced the IT. It was supposed to save money and make things better. It of course has had the opposite effect, with no “customers” (the individual agencies) happy, and costs soaring through the roof. Yet has the state taken a look at the issue and said “oops”? No. Those who voted for it do not want to look bad, so they are doubling down on it. Even though no independent study has indicated that the project will ever benefit the “customers” or tax payers of the state. Same with Climate change. Gore is not the only one who does not want to have egg on his face. One expensive solution would be to start publishing a rival journal in climatology that is indeed fair and balanced. Over time, if both sides of a debate were fairly presented, one would see the subscriptions surpass that of the journal that is biased. I think I’ve discovered the reason for the current cooling – a solar eclipse. I think it’s worth pointing out that if these people genuinely believed that AGW is correct, this sort of thing would not be occurring. As always, behavior tells all. Sorry for the Off Topic. Wrong thread. The more I read on Global Warming/Climate Change/Climate Disruption reporting, the more I am reminded of Pravda (the official Russian news service), Xinhua (the official mouthpiece of the Communist Party of China), FARS (Iran’s official news agency), and the news agencies of other dictators around the world. Their job is to ensure that only officially sanctioned news is reported and that any news inconsistent with the official view is modified to comply with the official view. Ironically, the New York Times and other left wing newspapers in the U.S. have been celebrating the role of social media played in getting around the state-controlled media in the current successful rebelions in the Middle East. Yet, these same newspapers do not seem to recognize that web sites such as WUWT are playing a similar role in the U.S. debate on AGW. The official media and “peer” reviewed journals can pretend that the global climate is changing according to model predictions, but they cannot continue to cover up the truth. Now they claim some of the authors want their names removed. I’m sure that has nothing to do with being threatened to lose their funding if they promote skeptical arguments. It is at least as bad in the pseudoscience called Conservation Biology. And the flip side to resistance to anything contradicting the party line is the ease with which anything that supports it gets through. And I do mean anything. It is a junk science jamboree and there is a whole herd of newly pumped out ‘PhDs’ that are essentially tunnel vision clones. The Nobel Prize in economics (yeah I know, it’s not a real Nobel Prize) is not reserved for Keynesians. Look at the list. Look at all the Chicago boys: 97, 95 92, 91, 82, 76; Also Buchanan of the public choice school in 86, etc. In the last decade the prize has gone for game theory, econometrics, institutional economics, real business cycle macro, etc. If anything, Keynesians have been dismayed at how often rival schools have won it. The problem here is that the journals in question have a history (been around for many years) and are often associated with major professional societies. As climategate clearly showed, most of the “gatekeepers” on the journal editorial staffs are CAGW true believers, and therefore will make it very difficult for any skeptic paper to get published. Compound this with the fact that any professor who wants tenure needs to get published, and not just in any journals, but the “right” ones in their profession. So don’t expect many (or any) skeptic papers from academia. For government and private labs, there is sufficient pressure from the climate elites (many of whom are gatekeepers to government funding) to keep skeptic papers from being published. I hope the matter of institutions’ righting themselves after being knocked off-kilter by global warming alarmism is just going to be a matter of time. McKitrick seems pessimistic. If science does not recover, then it’s good-bye to western civilization. If history is any guide, the first thing shed by govt in times of financial crises are basic services. This is done primarily to prove to the skeptical public that govt cannot possibly survive on any less money than it is getting now. Thus tax increases are the only possible solution. Think about your own state. Everytime there is a budget shortfall, all you hear on the news is about all those policemen, firemen, teachers, that are going to lose their jobs. You never hear about 3rd undersecretaries to the 2nd vice president and his staff losing their jobs. It’s a slow process, but it’s their reputation that is being lost. “One expensive solution would be to start publishing a rival journal in climatology that is indeed fair and balanced.” What is the difference between WUWT and an academic journal? The peer review! And what is it that is at fault with the academic review? 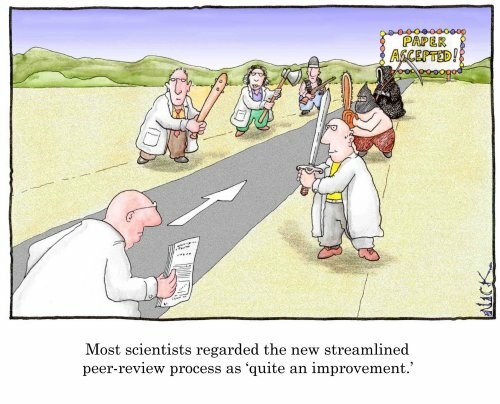 The peer review! I’ve often thought that if WUWT were to select articles for “publication” based on a suitably academic content and did the normal housekeeping of a journal like insisting on references, abstracts, etc., the this “academic” version of WUWT would be a climate journal for next to no cost and little extra effort. Indeed anyone could do it, all they need is permission to republish the articles, in a suitable format for an academic journal, on a new website and ideally a link from WUWT. Hey presto … you’ve got a new climate journal! This post lends credence to Richard Lindzen’s claim that climate science is a corrupt field. What is worrying is the lack of a path back from propaganda to science. Post-Khrushchev, death of Lysenkoism, anyone? Here’s a thought, although I am sure not an original one, but here goes: what does it take to found a new scientific publication? Couldn’t a group of sceptical (i.e. genuine and honest) scientists found their own science journal, with an aim to restore respect to the scientific way and a healthy “f*** you!” attitude to those who oppose this philosophy? Of course the alarmists and everyone in their pocket would shun and continually poo-poo it – but it would be seen by others as a beacon of true science. There must be no shortage of exasperated scientists and editors willing to contribute. Depends on what you mean by “scientific publication.” To create a first-rate scientific publication, all you need are money for staff and for an editor who has the time and will to be a leader. Seems to me that the current state of climate science offers an excellent opportunity for creation of such a journal. Some patriotic American with the means should do this; also, they would make money. If you mean a “scientific publication” that has the same pedigree as existing publications then that is an entirely different matter. It might be possible. You might get McKitrick in Canada to be the editor and he might get the blessing of his academic department and university. Short of someone like McKitrick as editor, the journal would not have an acceptable pedigree. Even then, the Warmista might kill it through ordinary means. A true leader would be needed as editor. Several journals are needed. There is a desperate need for a journal whose topic is government funding for science and related matters, such as Green propaganda. Your attempts to get published in climatological journals are so reminiscent of Don Quixote! I can’t imagine the time and mental energy it takes to maintain your composure while you keep answering all the questions, the parsing, the re-phrasing, whatever. Do you see parallels between current climatology with the court-sponsored science of the Renaissance? It wasn’t a great system; it all depended on the power of the purse. There were some free-wheeling patrons like Lorenzo de’ Medici, who had quite a collection of open-minded artists, humanists (and astrologers/mystics). Some were less tolerant, like Maffeo Barberini (Pope Urban VIII), who finally came down on Galileo about his silly little heliocentric ideas. I wouldn’t be surprised if the whole AGW research gravy train is derailed semi-permanently before long. Between a worldwide fiscal crisis and a seas that stubbornly refuse to boil, taxpayer tolerance for continued research has got to dry up. In the meanwhile, please keep working on getting published. There is a whole scare industry that tries to keep the public in a ferment and even targets little children. They make easy marks, with their trust and open-mindedness, and the fact that they have to sit in school and listen to teacher. Your work goes a long way in putting sanity back in the discussion. The corruption in peer review would be a good place for the congress to look in determining the validity of all claims. An audit of the review process would show for one thing who is favored for review and who are not and why. They could also determine if tax dollars are involved in any way. You just ruined my day(just kidding), but in truth I get sad when I think about this. I had wanted to get a degree in Ichthyology or wildlife science, but because I could not handle the insistent deluge of Marxist propaganda that students in those fields are subjected to, I decided not to. Excellent post, one of many on the subject. – Steig vs O’Donnel ea. etc, etc..there must be hundreds of such stories from both students and renowned professors. This database of warmist political failures could be expanded to chapters on the workings (and failures) of the IPCC, the proven (but never admitted) wrongdoings of “official” climate science, the disproved predictions, the hilarious and fantastical future predictions, etc, etc. An easy reference site for debunking warmist propanda. And what better place than the Watts Up Climate Fail Files for a reference of the collected wrongdoings of climate science? At the moment it is scattered all over the internet. It seems we are seeing a Cardinal Bellarmine effect here, in as much as he ordered Galileo not to “hold or defend” the idea that the Earth moved around the Sun. I guess that’s what happens when ideas are based on dogma instead of science. It looks like many young scientists are being finacially forced to “abjure, curse and detest” any scientific ideas that challenge AGW. You’d think it was the 1600’s not the 21st Century. Without at all meaning to widen the discussion into being off-topic, climatology is not the only science in which the paradigm defenders exist. It is my clear and fairly well-informed opinion that it also exists in physics, archeology, paleontology, geology, just to name a few. Anybody ever heard of uniformitarianism? Kuhn’s mention of anomalies is extremely cogent. Anomalies are simply ignored/swept under the carpet as if they don’t exist. Fortunately for climate science there are serious skeptics who are yelling loud and long. All the sciences should have such vocal skeptics. Keep it up, Ross, Steve M, Anthony, John Christy, Pat Michaels and Richard Lindzen, to name a few. Science needs paradigm busters in all its disciplines. The skeptic haters are the ones who, decades or centuries later, are the ones who are laughed at, for trying to keep a lid on knowledge. “Skeptic” really means “non-b.s.ers” or “straight shooters” – otherwise known as true scientists, those who play the cards as they are dealt, not those who play liars poker. Depends on what you mean by “scientific publication.” To create a first-rate scientific publication, all you need are money for staff and for an editor who has the time and will to be a leader. I agree about the editor, but I don’t agree about the money or staff. I’m sure many journals have been set up with just one enthusiastic person who has volunteered to be the editor and a few (unwilling) colleagues to help out. Come on this is hardly rocket science. Say e.g. you estimate you will be publishing 4-6 papers a quarter, this is well within the workload of one editor. Obviously there some up front work like e.g. you have to set a journal “standard” both in terms of content and style (e.g. consistent references). You need to correspond with potential writers and reviewers. No doubt when journals start, the reviewers are usually the editor and some others in their department whose arm can be twisted. These days, you don’t even have to engage a publisher because it can all be done online. Now obviously such a journal isn’t going to compete with the well known journals, but so long as it has an ISBN number, a title and some basic academic standards, then it becomes a potential reference journal for academic work. Technically there is nothing stopping another climate journal. But what is currently stopping it, is the lack of interest from academics – academics who will complain about the unfairness of the other journals, but who effectively support the status quo, because they won’t provide the support a new journal. Not sure if this tweet has been peer reviewed yet so to follow SOP of the AGW media let’s call it a ‘preliminary finding’ or ‘soon to be published’ in the prestigious Journal of Celebrity Tweets. Director James Cameron is warning that global warning is a far greater threat to humans than the Terminator. Well, The King of the World has spoken. Debate’s over. AGW is more of a threat than a science fiction plot. Or is it? 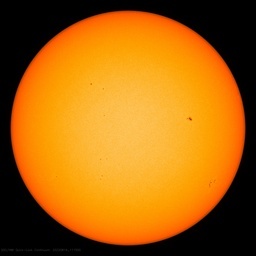 Let’s try one day without any action on AGW and compare that to one day without computers. When the science is, at best, a weak fledgling and the politics is a powerful behemoth, the classical idea of peer review seems beyond reach. We have only peers in ignorance and hubris. The remaining open venue for presenting honest professional research is the technical report or monograph. The journals have been captured by the same mushy mind-bend that invaded academia in the late 1960’s. As a journal editor we require that all correspondence pertaining to the submission, review reports, corrections. etc of accepted papers are posted online. I have no doubt that in the near future all serious journals will require this. Also I believe that in the near future papers may be interactive in that any qualified person may challenge findings. The new book Climate Coup looks good – I just ordered my copy. Smokey – that link to Professor Trebino was priceless – Thanks! I got a good laugh, but it is actually a sad story and an indictment of our current peer-review process. How far we have fallen. Economics is a science, SOCIAL science. The decision making paradigm shifts from pure NATURAL science where consensus means nothing, to need of some form of consensus in applied NATURAL science or engineering in terms of design standards and criteria, to consensus as the basis in experimental SOCIAL science such as economics to consensus is everything in political science and law as pure SOCIAL science. The problem with the AGW debate is a free for all. Every person puts his own decision making paradigm on the table without any consideration that the other branches of science operates on another point of view. When some scientist puts their cases on the “science is settled their is a consensus” I always checked the background of the person making the statement. In almost all cases the person is either a social scientists like Ravetz or a natural scientist losing debate. I have no objection with Post normal science as a political decision maker but what I found uncomfortable with the AGW debate is the lack of HEDGING. If the politicians have decided to support in their policies, plans and programs the AGW then almost all the research budget should go to the skeptical sides so that if the decision made under uncertainty is wrong then decisions made under uncertainty could be reversed at the earliest time and before much damage is made of the wrong decision. On the other hand if the research invested for the other side of the debate proves the decision made under uncertainty is correct, then the politicians have a stronger basis to move forward with the decisions made under uncertainty. But as mention earlier in this blogs, politicians have very big egos and they would only like to see their decisions proven correct and their also natural scientists who are willing to carry out the will of their political masters and hide behind the social science decision making paradigm. Creating a new scientific journal would be easy and relatively inexpensive. Establishing a following for that journal is quite another matter as its success would depend greatly on citation of published articles by articles published in other scientific media. Success economically would likely require a large subscriber base to establish a multi-year commercial viability to sustain operations long enough to generate a body of cross over references in books, newspapers, popular press magazines and particularly other scientific journals. So go a few more steps: Acclaim (and recognize publicly, actually honor) those who do reviews for a journal with as much credit as those who write for the journal. That is, in the title block and summary of the paper list the reviewers as well as the co-authors. During the review process itself – until the paper is accepted, keep the reviewer hidden. Thereafter, acknowledge the effort of the reviewer. Second it keeps the viewers – and editors – honest. Incestuous self-reviewed papers written by the same core that reviews other incestuous writers will become exposed. Prejudices are shown. Maybe not removed, but at least the closed loop incestuous process can begin to be shown. Can one reviewer veto a paper? No. Let that “reject” statement stand on its own “merits” – the reviewer who rejects a paper (or a part of a paper) has his/her record visible. The rest of us get to read the heresy that being being rejected by the hide-bound cleric of old ideas! Now – to one more point. How many “journals” do the “clerics” claim as their “climate” theocracy? 4? 6? We have been deluged with reports that 77 writers (out of the original 3196 surveyed for their views on CAGW) represent 97% of the climate papers being published nowdays. So, how many different journals (different editors-as-inquisitors) do those 77 writers represent? You have a naive understanding of realpolitik. Politicians most of all want to be reelected. Least of all to be criticised, or give the oppositions any free points. They want to be able to say they are necessary to save the world. And of course the opposition will destroy the world as we know it. So politicians tend to fund scientists who say that the opposition will mean the end of the world. As payment for their treachery, institutions are erected with Lead scientists, becoming Media Figures, Enormous Salaries are distributed, the most selfish and egotistical persons flown to the tropics on diverse conferences to save a world which needs no saving. A match made in hell: politicians pay to get scientific support for their policies, and science obeys like a snake, charmed by the flute of money, attention, importance and position. The leftist rot goes throughout academia. Anyone who believes this result wasn’t planned decades ago is naive. The corruption of peer review parallels the corruption of school textbooks. I think WUWT is the answer to peer review and the perversion of science it highlights. Open source, open review, identify editors and reviewers.The truth or the nearest thing to it are much easier to see.If an expert truly understands their own work, they should be capable of explaining it to an nonexpert. There. Now matches the evidence and the rest of the text. When this happens a revoloution follows where the people take action aginst those institutions. Science has dabased itself, it is now no better than partisan, than a religion. It deserves to be treated with the disdain it has earned. This happens to any science that is disconnected from physical reality and whose hypotheses can’t be verified by physical experiment, for various, perfectly valid reasons. It’s happened to Astronomy, astrophysics, geology and archaeology to some extent. These discplines deal with either the far, far away or the long, long time ago. These disciplines rely on artful rhetoric to settle disputes or to maintain the litany, especially those that use mathematics and computer modeling. All of the above disciplines resort to proving their hypotheses rather than falsifying them. will find a way to (right itself)’, why am I unconvinced? Yes, ‘leftism’, or ‘progressives’ dominate(s) intellectual life. Yes, it is unusual for a ruling paradigm to go without a fight. But the parallels with Lysenkoism (and the Deutsche Physik argument with Einstein) are much too close for comfort. Since WW2 we have been building up the State to be our lord above all others, taking ‘care’ of us from the cradle to the grave. (The ‘march of God’ according to Hegel). In order to do this, it needs to claim an authority based on absolute truth, and as such employs ‘perverted science’ in Churchill’s graphic words. So far, it is mainly the social scences which have been used in this way, and the pitiful results are everywhere – failing education, junk economies, high crime etc. Natural science has made progress, albeit entirely within the ruling paradigm (it refuses, for example, to examine Chinese medicine or discuss weaknesses in evolution – see Dawkin’s collected works). However, the AGW case represents a huge shift – away from the of dissent within the ruling paradigm, towards its elimination. To the best of my recollection, this is the first time this has happened in natural science in the West – all the other scientific frauds have been remarkably small-scale and ill-funded by comparison. For me, science is primary. It has given us the age of the individual, beaten the priests at their own game (‘truth’) and led to prosperity. In the natural sciences, it possessed the self-correcting mechanism of criticism. 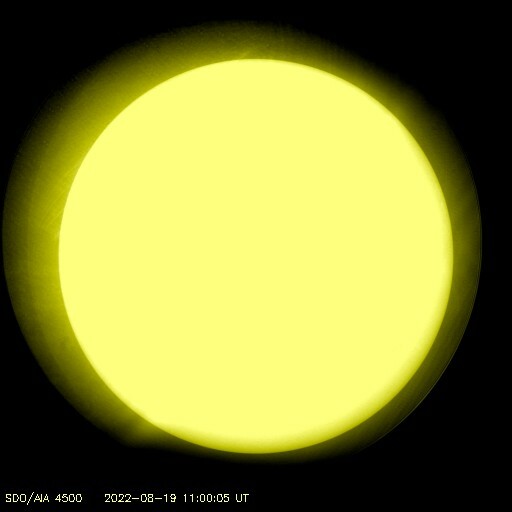 If AGW succeeds, it will be the end of this. So my question is: How can we stop this ever happening again? Solution? Tricky one as it’s a cosy circular argument. Scientists push climate-change research because that’s where the Government money is. Government puts money into climate change because “that’s what the science says” and because it gives them an excuse for taxation (and for people to make fortunes in carbon trading). And both say “la-la-la we’re not listening” to anyone who questions this cosy situation. There is a fundamental problem. I refer to Newtons comment about “standing on the shoulders of giants”. Science advances by building on a foundation of prior work. The problem is to determine which prior work consists of the “shoulders of giants” and which prior work consists of the sands of the Nile. Peer review and “respected” journals are supposed to help sort that out. Others have pointed out that the current problems of peer review are not limited to Climate Science. My limited understanding of history suggests that there have always been periods where orthodoxy has grabbed science by the throat and strangled it. In any field there will be crackpots and fools that need to be weeded out. The challenge is to provide a vehicle that will foster reasonable alternatives to orthodoxy without drowning in a sea of nonsense. Economics may provide some insight. There are clearly defined alternative schools of economics. Keynesian and Chicago are two that exist in contrast but with respectful dialogue. For example see “Monetary vs. Fiscal Policy: A Dialogue, Milton Friedman and Walter W. Heller, W.W. Norton & Company, Inc.: New York (1969)”. There are enough respected scientists concerned with the current state of climate science to form an alternative “school” Perhaps WUWT could establish a thread restricted to those academics who would like to publish there, using others of the same group as online peer reviewers. It would greatly increase the respectability of such a thread if you would keep crackpots like me off of it. ‎”Now, do you want to work in a place full of insanely clever people who are also insanely cynical and determined to do everything to get on top of you? If so, you can do top level science. t’s not all, of course. Top level science requires also an absolutely mind-boggling determination and, overall, confidence in yourself. To properly do science you must be absolutely sure that, whatever you have in mind, you will do it, no matter what, and that you’re doing it right, to the point of almost self-delusion. This is so important that who wins in science is regularly not the most brilliant but the most determined (I’ve seen Nobel prizes speaking and half of the times they didn’t look much more brilliant than your average professor. Most of them were just lucky, and overall were incredibly, monolithically determined). Combined with the above, this means working 24/7, basically leaving behind everything in your life, without any doubt on your skills and abilities and most importantly on your project, while fencing off a competition of equally tough, confident and skilled guys. 1) Federal grants are framed as seeking proposals to study the negative impacts of climate change, never the positive. Even the names of many of the RFPs show this. 2) Over my career, I have had hundreds of reviews of my 127 papers. The only times I have gotten angry and nasty reviews is on the climate change topic. It is interesting that in the 1990s I published 2 papers in GRL that would today encounter angry reviews, but the emotional level then was not so high and they sailed right through review. I do not know what the solution is, since I have yet to see a case in which an institution or a segment of society, having once been contaminated or knocked off balance by the global warming issue, is subsequently able to right itself. But perhaps, as time progresses, climate science will find a way to do so. Now that would be progress. This is not an AGW example, but it can and does happen. I can’t speak for how common/rare it is. That said, the truth is yes, sometimes large groups of humans actually do regain true curiosity and shed faith. It does not happen overnight, and in that one example I linked to above, it required the death of a founder and lots and lots of group-splitting. So my question is: How can we stop this ever happening again? You cannot stop it from happening again. As long as society can advance to a stage where there are pure takers, there will be and they will take. That is what is happening. The takers will take as long as they are able, and justify it with slovenly work. Eventually society reaches a breaking point where there is nothing to take (they have killed the golden goose), and the takers will die out due to starvation. But the cycle will repeat itself as the society rebuilds and creates excess wealth (defined as that above the need for subsistence). Provide a link to your peer reviewed assessements. Since it takes about a year for work to be peer reviewed I am interested in your sources for events that only happened 9 months ago. James Hansen has a long record of being right. In the modern age there’s no reason why hardcopy journals must rule the peer review scene. In fact the online world offers an ideal forum for peer scrutiny, but it would be necessary to create a rigid framework and limit participation. I think Keynes had the same problem with the ideology of his day,everyone was told that governments could do nothing about economic recessions and they believed this,we are told that humans are responsible for global warming and must be stopped and we are expected to believe this.I see similarities between people like Dr Roy Spencer and Keynes.In the UK between the wars we had a socialist government led by Ramsay McDonald who did not attempt to interfere with the economy because of the dogma of the day. “What to do if you are a college professor and the academic society that represents your field has been overrun by political correctness? One answer is: Form your own organization. That is how, six months ago, the Association for the Study of the Middle East and Africa (Asmea) came into being. Now claiming 500 members and gearing up to publish its own scholarly journal, Asmea is meant to be a corrective to the 2,600-member Middle East Studies Association, the premier professional society for scholars of the Middle East. That organization is now regarded by many as stiflingly politicized. Institutionally, it engages in nonstop Israel-bashing and seems to blame America for every economic and geopolitical wrong on the planet. Princeton Professor Emeritus Bernard Lewis, founder of both Middle East journals, desires “a truly open academic society.” What a quaint, primitive, has-been notion by a very elderly man! Professors Lewis, McKitrick, and Pielke are way behind the times: Bronze Age Nestorian artifacts lying amongst bygone ruins, foolishly longing for the hopelessly outdated nobility of the Golden Age when censorship and cooking the books were actually grounds for academic censure. These misguided primitives are resistant to the ways in which scholarship, science, and peer review have progressed. Seriously, the similarities between climate science/Middle East Studies are manifest. Both disciplines suffer/suffered from serious censorship, and peer review that encourages/encouraged and allows/allowed sloppy, tendentious, book-cooking scholarship with the “Correct” message to populate the pages of journals. In both cases, the Message Thugs emanate from exactly the same Orwellian far left sources that think that they have carte blanche to suspend Golden Rule-based fair play if such fair play gets in the way of their agenda to change the world. Sadly, in recent decades it has been the most politically febrile academics that have maneuvered assiduously to get themselves into positions to exercise censorship and control of the Message. It is not lost on the most politically-oriented, amoral academics that a Right and Just Orwellian oligarchy that controls the Right and Just Message will also have a good chance of implementing Right and Just public policies. The Internet came along at a very opportune time to thwart the oligarchic Message Thugs of the academy. Now that their Machiavellian machinations can be publicly exposed to a wide audience, the stench is simply overwhelming to fair minded people, regardless of political affiliation. Lewis, Watts, McIntyre, McKitrick, Pielke and all the seekers of the truth too many to mention are to be highly commended. The academic process of peer review and publication should be performed to lead to the best approximation of the truth. It should never be performed to lead to a politically motivated outcome. Science and scholarship should be about using the scientific method and fair play in academic scholarship to find the truth simply for the sake of the truth. I wonder if we would ever hear Beethoven’s symphonies if they were subject to the peer-review process? Some Salieri would opine that “from both a musicological standpoint, and the very marginal “harmony” involved in Beethoven’s scores…they are pure crap.” His peers would applaud, because, you see, they couldn’t hope to be Beethoven’s peers, could they? Franz Schubert was also peer-reviewed to oblivion during his life. He always submitted his compositions to all kinds of competitions, and never won. Anybody remembers the winners, by any chance? His namesake, professor Franz Schubert from Berlin, even threatened to sue him for the insult of attributing “that crap” to his noble, peer-reviewed name. Wonderful thing, this peer-review process! It eradicates talent and daring thought in embryo, and perpetually protects the well-being of the well-connected mediocrity. You want to kill something — science, music, art, culture, education, anything? Institutionalize it, make it dependent on government subsidies, and make any publication subject to peer review.